« Economy Expands in May—Where Does Housing Stand? 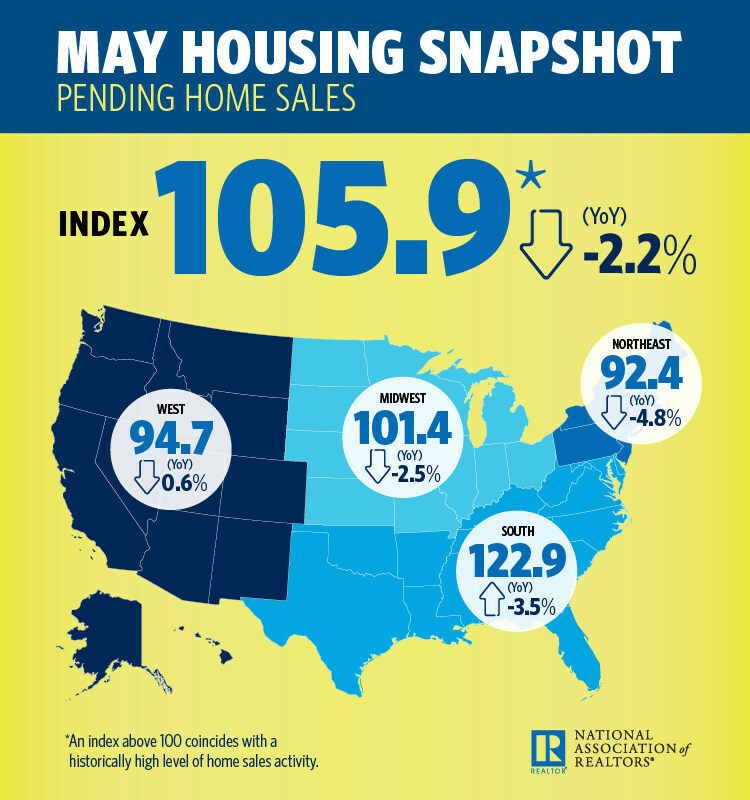 In a continuing downtrend, May’s pending home sales slid, declining 2.2 percent for the fifth month in a row (year-over-year), according to the National Association of REALTORS® (NAR) Pending Home Sales Index (PHSI). Activity decreased 2.5 percent in the Midwest, 4.8 percent in the Northeast and 3.5 percent in the South, but rose 0.6 percent in the West. “Pending home sales underperformed once again in May, declining for the second straight month and coming in at the second-lowest level over the past year,” says Lawrence Yun, chief economist at NAR. “REALTORS® in most of the country continue to describe their markets as highly competitive and fast-moving, but without enough new and existing inventory for sale, activity has essentially stalled. U.S Existing Home Sales Tumble: A Blip Or an Omen? This entry was posted on Thursday, August 9th, 2018 at 11:19 pm	and is filed under Housing Market News. You can follow any responses to this entry through the RSS 2.0 feed. You can leave a response, or trackback from your own site.